Practically the very first equipment of Granulation Suite, it sets the tone of entire granulation process. An engineering feat, executed with perfection, lets you mix, chop and mill the ingredients with ease. Controlled through PLC its mixer and chopper blades are unique in design, solid in strength and are perfectly aligned. We manufacture a wide range of floor mills. This floor mill is an electric stone less floor mill, capable of fast grinding capacity and thus gives more average yield as compared to other flour mills. These are safe to use and time saving. Paramount Designs and fabricates baffle type Inline Static Mixer to achieve complete mixing of dosing chemicals with effluent/water. The Static Mixers are fitted with piping and do not require any additional support structure. The Static Mixer fabricated by Paramount are designed to have low pressure drop & have no moving parts. We are engaged in offering Transit Mixers. It is precision engineered using high grade raw material to ensure long service life. It is widely appreciated all over the market & demanded by various clients all over the market. 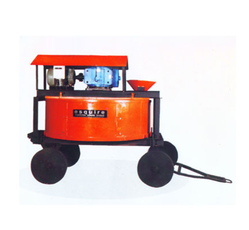 Our Industrial mixers are used in various industries as per the requirement. 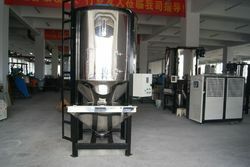 These are used for mixing the materials in industrial scale with appropriate quantities. This industrial mixer is extensively used in engineering, chemical and related sectors. Moreover, it is fabricated in compliance with international standards and is delivered within specified time frame.